It's now good to go. 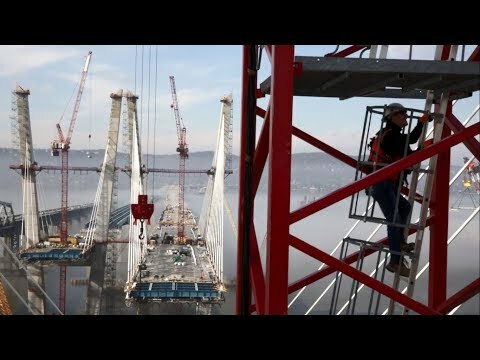 The process of shifting Rockland-bound lanes from the 62-year-old Tappan Zee Bridge to the first span of the new bridge was completed just before 6 a.m. Saturday morning. Work on traffic shift began around 9 p.m. Friday. The first Rockland-bound lane on the new TZB opened around 1:30 a.m. 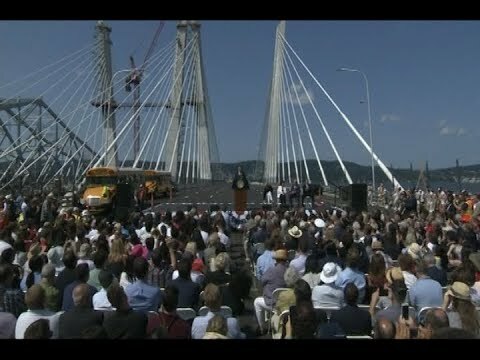 The new configuration for traffic in both directions is four lanes of northbound/westbound traffic on the new bridge and four lanes of southbound/eastbound traffic on the old (Tappan Zee) bridge. All lanes on the new bridge will be similar in width to the lanes on the old bridge. The new bridge, specifically its landing areas, will remain an active construction site. As such, the posted speed limit will be 45 mph for the safety of motorists and construction workers. The Thruway Authority said they strongly encourage motorists to abide by the reduced speed limit and remain alert as they travel over the new bridge.